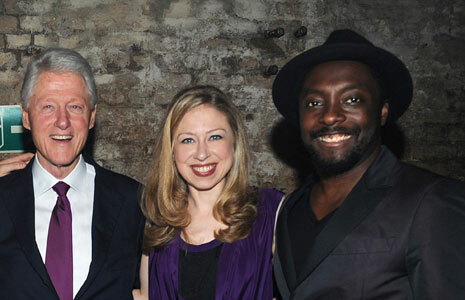 Bill Clinton hooked up with Will.i.am on a visit to the UK and sang the praises of The Voice coach – and of Britain. The former US President flew in with daughter Chelsea, 32, to host an event for the ­charity he founded. 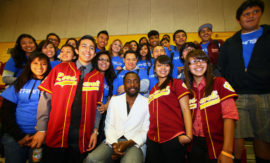 President Clinton, 65, said: “I’m very proud of my friend Will.i.am for all the work he does for my ­foundation. He’s worked very hard. He gets what I’m about and we both care about the same things. “I’d like to thank him for ­using his platform to help ­empower people all over the world. I’d also like to praise his generosity for all he does. President Clinton, who set up his Foundation Millennium Network charity after leaving office, continued: “The British are always one of the first to help others in need of aid. “They are never afraid to put their hands in their pockets. “It’s a very worthy thing, ­especially when people are struggling economically. “Charity and compassion for others are close to the British hearts. It’s why when we come to London, events like tonight always have great ­attendances. No matter what the hardship, you guys always want to help where you can. 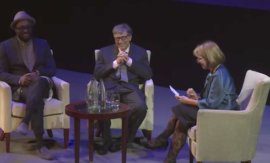 “For me you’re one of the most charitable nations in the world. Gwyneth Paltrow, 39, and Princess Beatrice, 23, were among celebrities at the global development charity party bash in The Old Vic Tunnels at Waterloo, London. The 42nd US President, he occupied the White House for eight years ­between 1993 and 2001 ­before giving way to George W Bush. He said: “It would have been easy to have just retired from public life but one of the things I regret most about my ­presidency is not ­doing more about HIV-Aids. “So when I left office I ­wanted to figure out how I could make a difference. The charity was one way. The Clinton Foundation Millennium Network raises money to improve health around the world, especially for children, and to ­strengthen economies while protecting the environment. The former President, whose wife Hillary, 64, is Barack Obama’s Secretary of State, talked of his concerns about the world’s financial ­difficulties and problems posed by climate change but remains optimistic. He said: “We’re all going through a very difficult and challenging economic time but we’ll get out of this. It’s important to recognise that the problems of the rest of the world will slow the full recovery of Europe and the United States if we don’t do something about it. “When there’s too much inequality in the world and people who are just as smart as we are can’t send their kids to school, can’t borrow money to start a business and can’t be rewarded for the work they do, that restricts the world’s potential to grow. “It holds every struggling person in the UK and US down. When there’s too much ­instability the same thing happens. The world has three huge problems. It is entirely too unequal, it is too unstable and it is totally unsustainable ­because of climate change. “Governments have to do something but there is an ­enormous amount that people can do as private citizens. “When I left the White House I tried to define a ­mission for our foundation that would not only enable me but also help others do public good as private citizens. “I care about the planet a great deal. Climate change is a real concern and something I’m very worried about. “We’re losing trees not ­because of development but because of climate change. “We have a duty to the world to stop this. “Perhaps more pertinently to you is that the ice cap on Greenland is melting. “It will paralyse a lot of the world if something is not done about it. What I want people to remember is that despite all the trouble the world has today, which is particularly hard on young people, it’s still a very exciting time to be alive. “Ordinary people all over the world have more of a chance today than ever before to make a change. 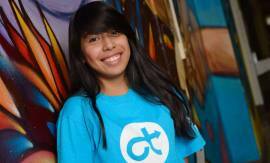 “I want young people to feel that they can really make a difference. 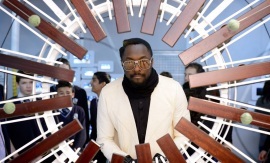 “I’m trying to ­convince them that they can define ­citizenship in the 21st Century. “They have the power to do more now than ever before. “I’m a boring grey-haired white guy in a suit. “All of the world’s challenges are enormous opportunities but they can’t be done just by ­people like me sitting in ­positions of power who think they know what to do. “A lot of them have to be done at a grass roots level. “I’m working on a project with the City of London that will be a zero-emission or ­carbon-positive development project – one of two in this country’s capital. “You won’t be paying utility bills if it happens but you’ll be making money and putting more people to work.